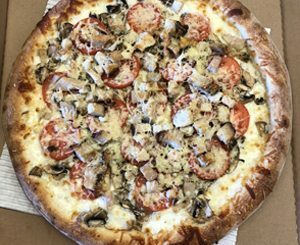 Creamy Alfredo Sauce, Mozzarella & Parmesan Cheeses, Chicken Breast or Shrimp, Roma Tomatoes, Mushrooms & Garlic. 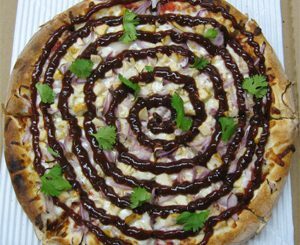 Light Pizza Sauce, Chicken Breast, Cheese, Red Onions, B.B.Q. Sauce, Cilantro. 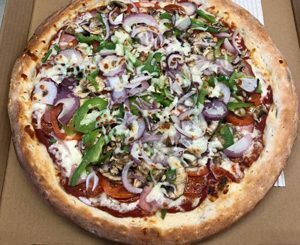 All The Veggies, Pizza Sauce, Mushrooms, Tomatoes, Red Onions, Green Peppers, Artichoke, Black Olives & Garlic. 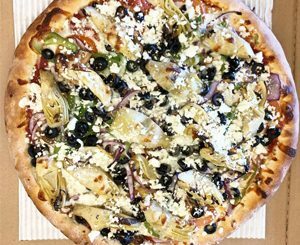 All The Veggies, Pizza Sauce, Mushrooms, Tomatoes, Red Onions, Green Peppers, Artichoke, Black Olives, Garlic & Feta Cheese. 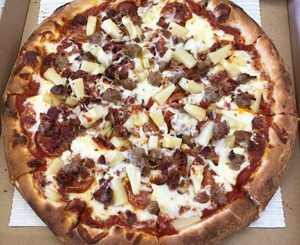 Pizza Sauce, Cheese, Pepperoni, Bacon, Sausage & Pineapple. 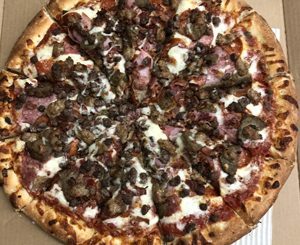 Heavily Loaded With All The Meats, Pepperoni, Salami, Canadian Bacon, Beef Bacon Bits, Meatballs, Italian Sausage. 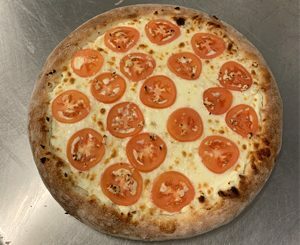 Ricotta Cheese , Fresh Roma Tomatoes, Garlic. 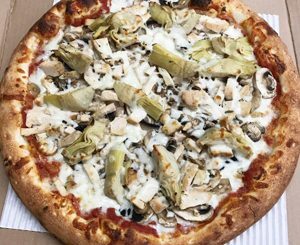 Pizza Sauce, Cheese, Chicken Breast, Mushrooms, Sliced Artichoke, Garlic. 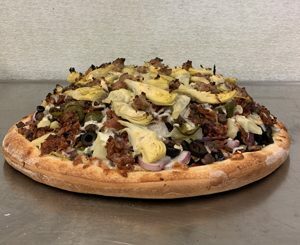 Southwest Sauce, Cheese, Onions, Olives, Jalapenos, Tomatoes, Chicken Or Beef. Pizza Sauce, Cheese, Pepperoni, Canadian Bacon, Mushrooms, Red Onions, Bell Peppers & Roma Tomatoes. 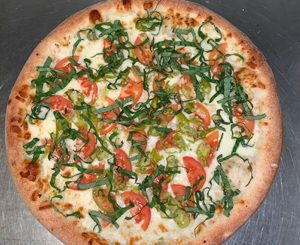 Creamy Alfredo Sauce, Mozzarella Cheese, Roma Tomatoes, Sliced Pepperoncinis, Garlic & Basil. 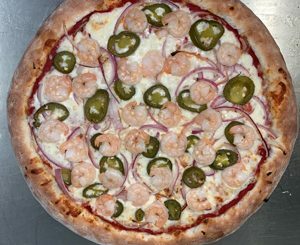 Pizza Sauce, Mozzarella Cheese, Shrimp, Onions, Garlic, Jalapenos. Ranch Dressing, Cheese, Chicken Breast, Roma Tomatoes, Bacon Pieces, Red Onions. 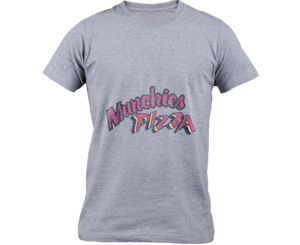 A party pleaser! 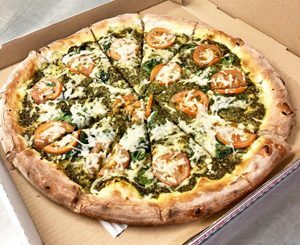 This one has all of the toppings. Anchovies only upon request. 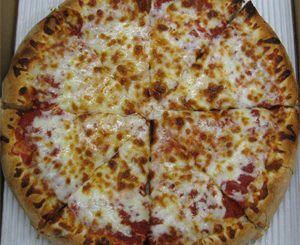 All sandwiches are covered in sauce, cheese & baked in the oven. 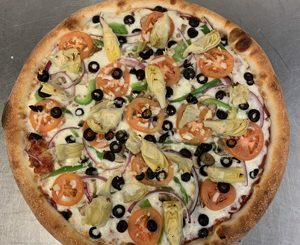 Romaine & Iceberg lettuce, pepperoni, salami, red onions, olives, pepperoncinis, Roma tomotoes & mozzarella. Feta cheese, Romaine & Iceberg lettuce, olives, red onions, Roma tomatoes & pepperoncinis. 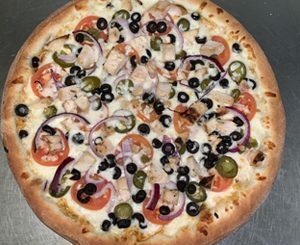 Romaine & Iceberg lettuce, chicken breast, pepperoncinis, cheese, black olives, red onions & tomatoes. Romaine lettuce, parmesan, croutons, Caesar dressing on the side.